Some countries build or are planning to build border walls to protect themselves from threats from the outside. What about the threats from the inside? 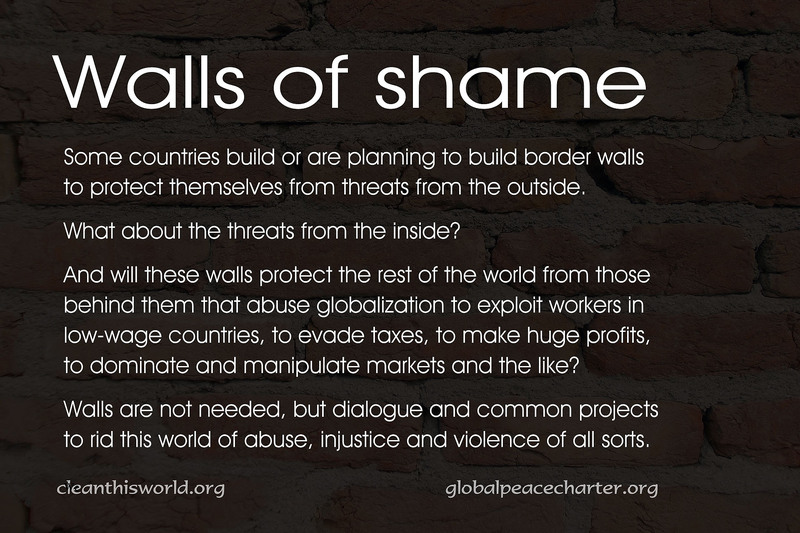 And will these walls protect the rest of the world from those behind them that abuse globalization to exploit workers in low-wage countries, to evade taxes, to make huge profits, to dominate and manipulate markets and the like? Walls are not needed, but dialogue and common projects to rid this world of abuse, injustice and violence of all sorts.